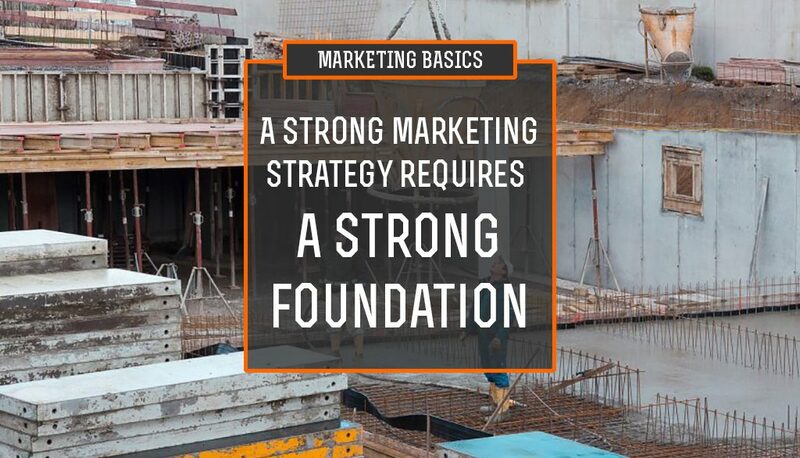 By that, I mean that in order for any marketing strategy to be effective, you first need to make sure the parts that everything else rest upon are as strong and stable as they can be. I often come across businesses who are looking to “improve their marketing” but are really looking for silver bullets. They’re looking for some new advertising technique or channel that will drive customers through their doors, eager to buy their product or service. I’ll let you on a secret: those silver bullets aren’t real. Now that doesn’t mean, however, that there aren’t effective marketing channels and strategies. There absolutely are, and pretty much every advertising channel has its ways of being effective – but you can’t just put your money into advertising and hope everything will be okay. Instead what we need to do is look at the core of our business. The foundation. That means looking at the main “action points” within your company. Where are the places that people are making decisions? What methods are we using to get people interested in our product? Those are our foundation. For many of us, our web site is a central part of our foundation. It’s a central point through which we plan to send most, if not the majority, of our traffic. What’s more, it’s also one of the places where we get the opportunity to have the most direct relationship with our customer. This means that making sure your web site is not only well-designed, but designed with purpose and goals in mind is absolutely necessary. The same goes for your main social media channels, or even your brick and mortar real-world locations. But it’s one thing to have a nicely designed web site, store or social media channel. It’s another thing altogether to have one that has a well-thought-out purpose behind it. This is where we make sure we not only have a foundation, but that our foundation is strong and built on solid ground. Without that strong foundation, everything is else at the risk of crumbling (or just sinking down into the mud). Before you start spending your money on advertising, look at the foundation you have built. Build stories around those questions and their answers, and then make sure your core properties are designed with those in mind. Once those are done, then you can start advertising. But think of your advertising as new levels built on top of your foundation. All of your communication, ad buys, social media campaigns, etc. should be supported by that underlying foundation. That foundation should be the strength upon which everything else is built. Just remember, even strong foundations need to be continually inspected – and sometimes may need some work of their own.